The enduring beauty, magnetic allure and mystique charm of silver is what makes it ideal for creating exquisite pieces of jewelry. But owning unique pieces of beautiful silver jewelry is as essential as keeping them clean and untarnished. With this ultimate guide on how to well-maintain and take care of your silver jewelry, you can instantly make them shine bright like new! Regular use of silver jewelry may lead to tarnished surfaces and can make your jewelry appear dull and lifeless. Hence, a little cleaning can help restore the beauty and sparkle of your precious jewelry. 1. Polishing your silver jewelry using a soft cotton cloth is one of the easiest ways to make your silver gleam. Make use of polishes that are specially formulated to clean silver. While cleaning, use warm water to clear the tarnished areas. Since, silver is very soft and delicate, deep care should be taken while cleaning it to avoid any scratches or marks on the surface. 2. 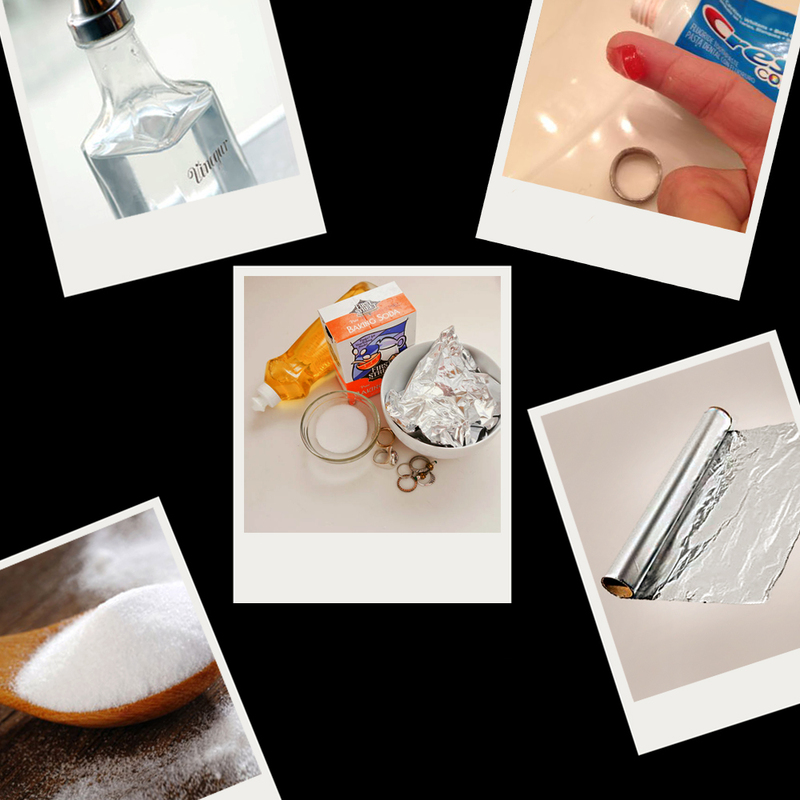 A home-made solution of salt and aluminium foil can also be prepared to remove the tarnish. Take a bowl of warm water and add some pieces of aluminum foil to it. Mix one spoon of salt and then leave the silver jewelry in it for some time. Take it out after a minute or two and you will find shimmering new pieces of silver. 3. Soak your silver jewelry in a solution of half a cup white vinegar and two tablespoons of baking soda and allow it to stay for two to three hours. Remove the jewelry from the solution and rinse it under running water to restore its glow and glimmer. Or make a thick paste of one-fourth cup of baking soda and two tablespoons water and apply the paste on the silver jewelry, then gently rub and rinse it off. 4. Who knew a little bit of toothpaste can do the trick? Yes, you heard it right! Just squeeze out your toothpaste, apply it on your rusty silver jewelry and use a cotton cloth or a paper towel to rub it gently. 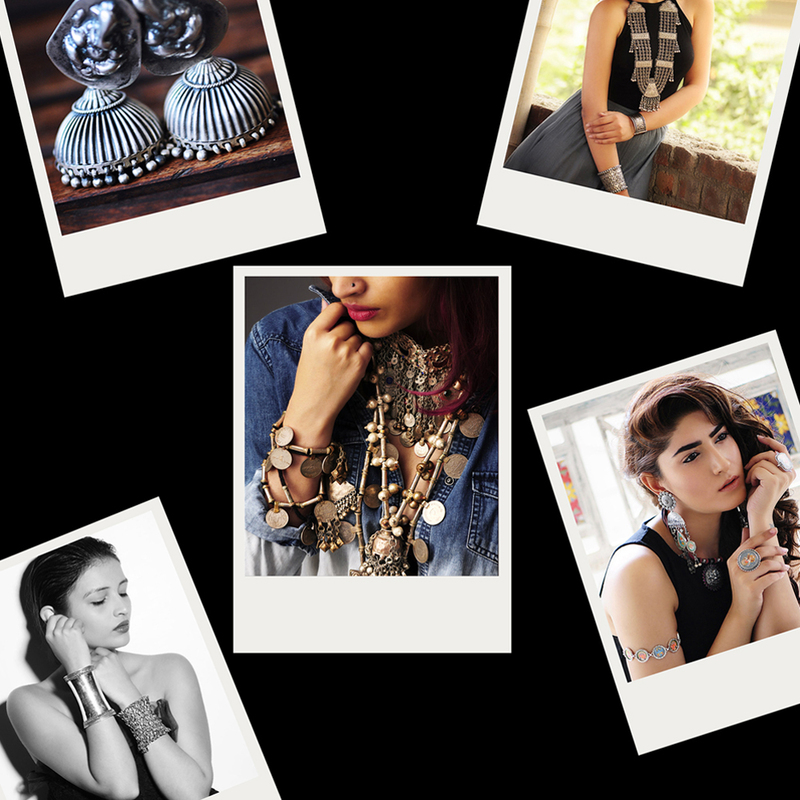 We all love to wear beautiful pieces of silver jewelry that compliment our outfits and enhance our style. But there are also a few necessary measures that should be taken while wearing silver jewelry. 1. Take off your silver jewelry while performing household chores like cleaning, cooking, gardening or while you are in the shower as these may damage the silver and also lead to scratched edges. 2. Avoid exposing your silver jewelry to strong chemicals like bleach and chlorine or any substance that contains sulphur since they will react with silver and cause the metal to tarnish. 3. While getting ready, its advisable to wear jewelry at last as cosmetics, hair sprays, lotions and perfumes also contain chemicals that speeds up the process of tarnishing. 4. If you accidentally stain your jewelry with make-up, oil and lotions or food, then wash it off immediately in soapy warm water or gently wipe it using a soft cloth. Because prevention is better than cure, prolong the life of your silver jewelry and retain its enticing lustre for many more years to come by storing it properly and taking good care of it. 1. Store your silver jewelry in air-packed plastic bags or in a separate section of your jewelry box as this will limit the exposure to air and will not cause discolouration of silver. 2. 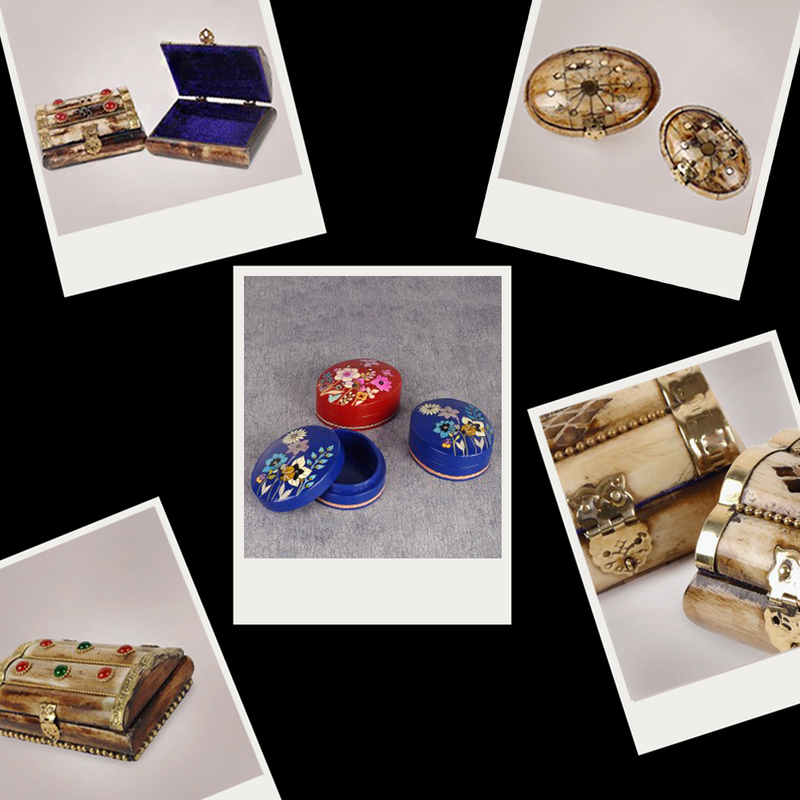 While keeping the jewelry, make sure that you don’t place multiple jewelry pieces in the same box as there are chances of them rubbing against each other, which may cause scratches and dents on the jewelry. 3. You can also use anti-tarnish pads or place a packet of activated charcoal and silica gel in the storage area to prevent tarnish. 4. Avoid placing your jewelry in direct heat or sunlight as it might fade its colour and make its appearance dull. Staple silver pieces complete any jewelry box, these tips will make sure that you embrace it till the end of time. Have we missed anything? Tell us, your secrets to timeless shining silver jewelry! Posted in Art, Crafts, India, indian, Jaypore, Jewelry, traditional and tagged aluminium, baking soda, beautiful, care, clean, cure, Ethnic, foil, India, Indian, Jewelry, jewelry box, measures, new, precious, prevention, shine, silica gel, Silver, store, tarnish, timeless, Tips, toothpaste, Traditional, vinegar, wear. Bookmark the permalink. Fantastic tips! I have one bracelet which desperately needs cleaning. I am going to use baking soda and vinegar. Thank you for sharing this useful information. Best regards!